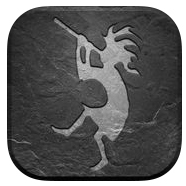 Embertone Jubal Flute now for iOS. We discovered this one-of-a-kind instrument collecting dust in our favorite local music shop. It’s made out of hemlock, light as a feather, and sounds like elven magic.